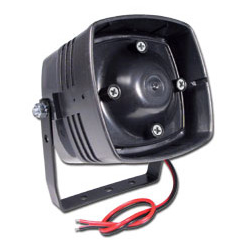 The ELK-45 compact heavy duty siren can be mounted almost anywhere including under eaves and soffits or in vents. Despite it's small size, its emits a very loud 118 db (at 14VDC). 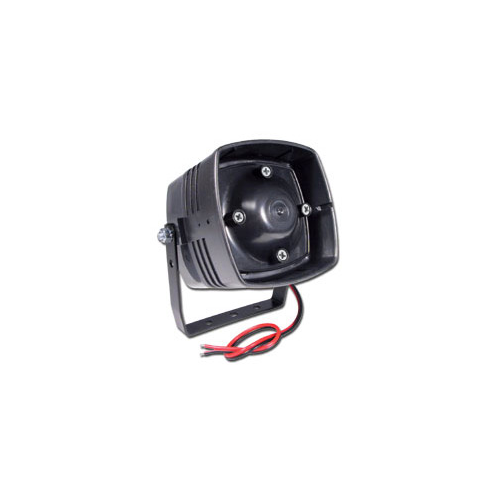 This electronic siren features ComboTrigger™ technology to produce two distince sounds even from alarms with a single output. One for alarm and one for fire. It also has MilliMiser™ technology which can be set to optionally reduce the current draw by about 25% with only a 6-8% reduction in sound level for alarms with limited output current.